How much being caught off guard actually costs to you? Imagine one day you open your PayPal account and discover you lost more than $1000 because the password was stolen. Imagine your business conversation via e-mail was intercepted and as a result you suffered a lost of twice as much sum. Imagine all your accounts at Google, Facebook, Twitter, Instagram and even Steam suddenly became public. I’m not trying to scare you. In fact, all of the above actually happened to one of our clients in the past. 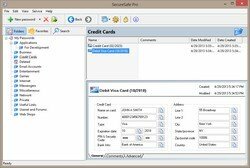 "I tended to use the same three or four passwords for all my accounts, let my browser keep them and never bothered to make sure if they are safe", says David B., a customer who decided to share his story with us. "The lesson I eventually learned was terrible: I lost a whole lot of money, time and even reputation. 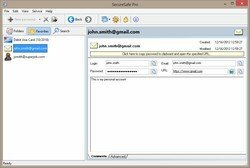 That’s nearly ruined my life, but at least I did my homework and never neglected informational safety after that – I found SecureSafe Pro". 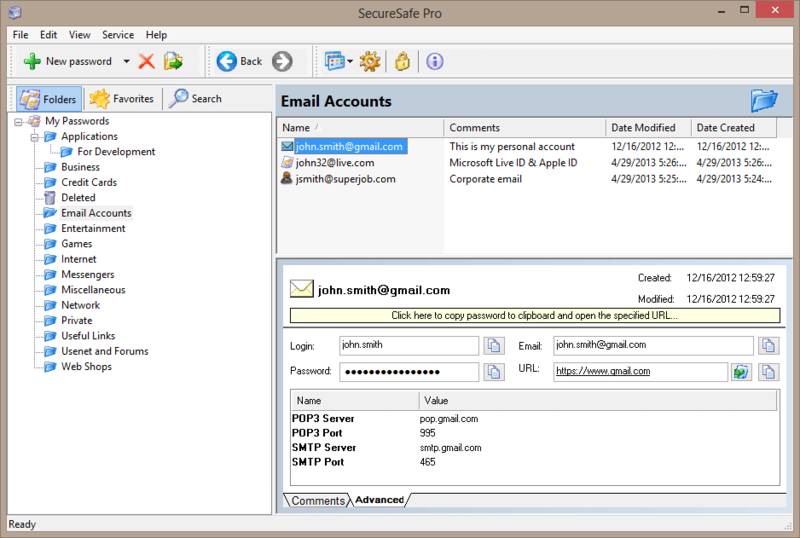 SecureSafe Pro is a password keeper app to store all your passwords in one 100% safe storage. 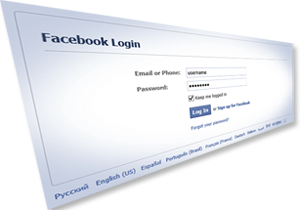 At the same time, any password to any website remains easily accessible to you when you need it. It’s a convenient safety (or safe convenience) on a stick! Here is how the program works. 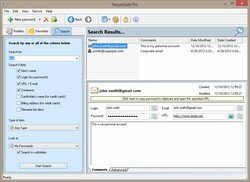 You define one master password, and SecureSafe Pro uses this password to encrypt all other passwords it stores with an exceptionally strong algorithm (for those who are technically savvy, it is 256-bit AES). Whenever you see an authentication form in a browser, you simply click the program’s icon and unlock it with your master password. 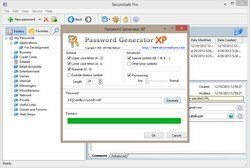 Find the desired password then and paste it to the password box. Actually, I spent more time describing this than it actually takes – a few seconds. I hate long passwords. I can’t remember them, so I have to write them down. But simple writing nullifies the security they provide. I am sure I’m not the only one doing so, that’s why you need a password keeper too. With this app you can afford long, strong passwords and free your mind for more important things at the same time. Plus, you don’t have to type those nasty 12-symbols passwords too. 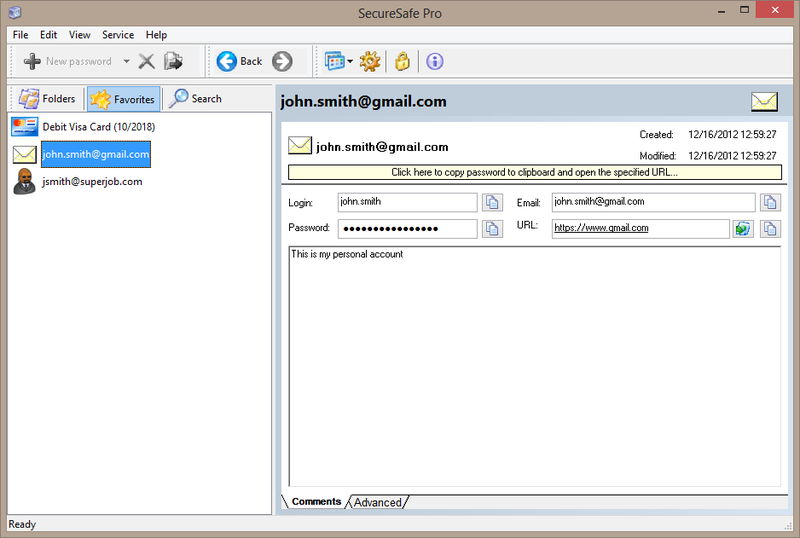 SecureSafe Pro is actually more than an ordinary password keeper app. 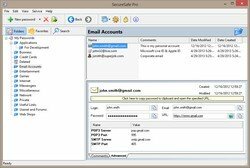 It began as such, but gradually evaluated to a complex safe storage solution for passwords, files, credit card data, text fragments, notes, web URLs and many more. 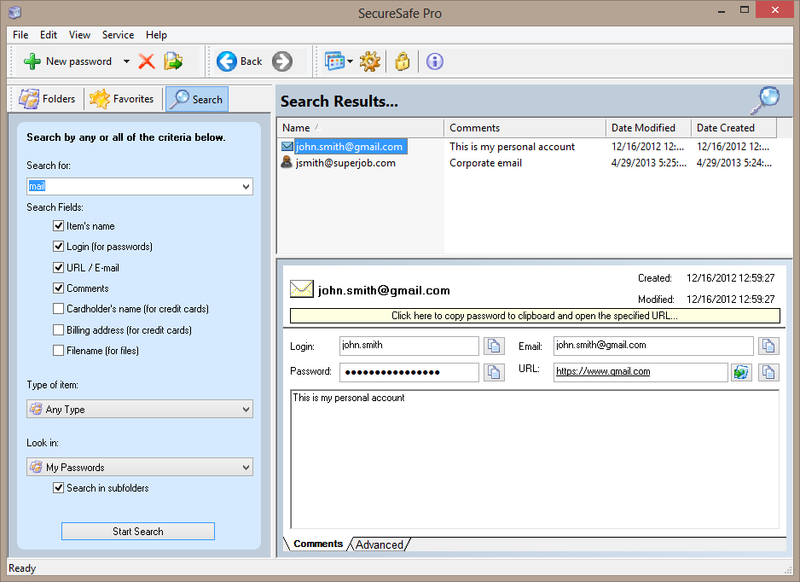 In fact, you can store any kind of data using the program thanks to fully customizable fields. 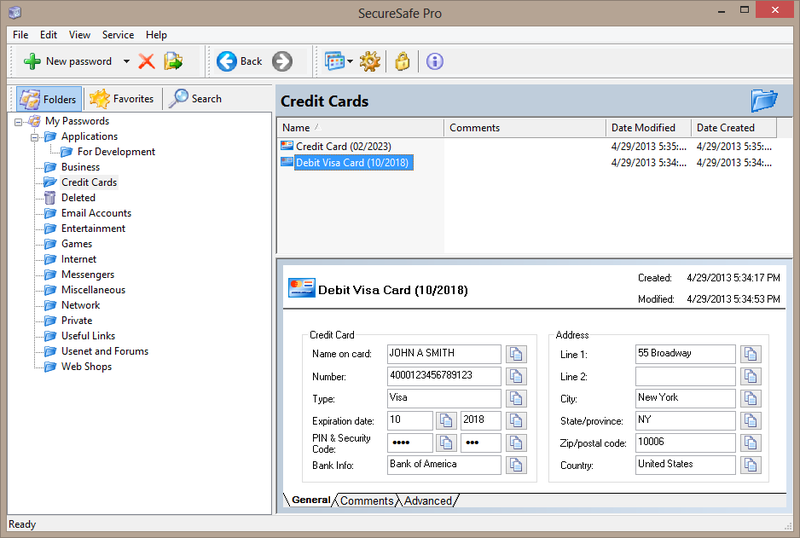 With 5 predefined templates you can easily add new passwords or data types to SecureSafe Pro, while 300+ visualization icons make your data easily recognizable. Should I say more? Well, my information security cost me a lot. 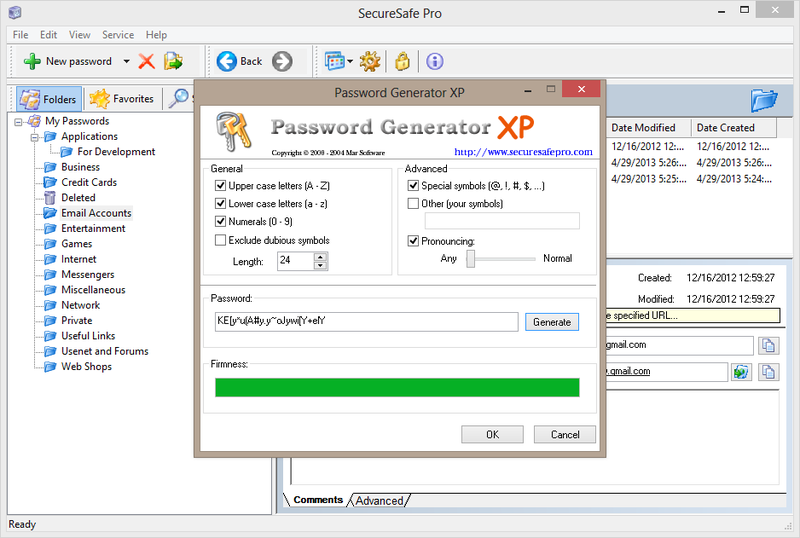 But you can protect your identity much cheaper with SecureSafe Pro password keep app. Do it!